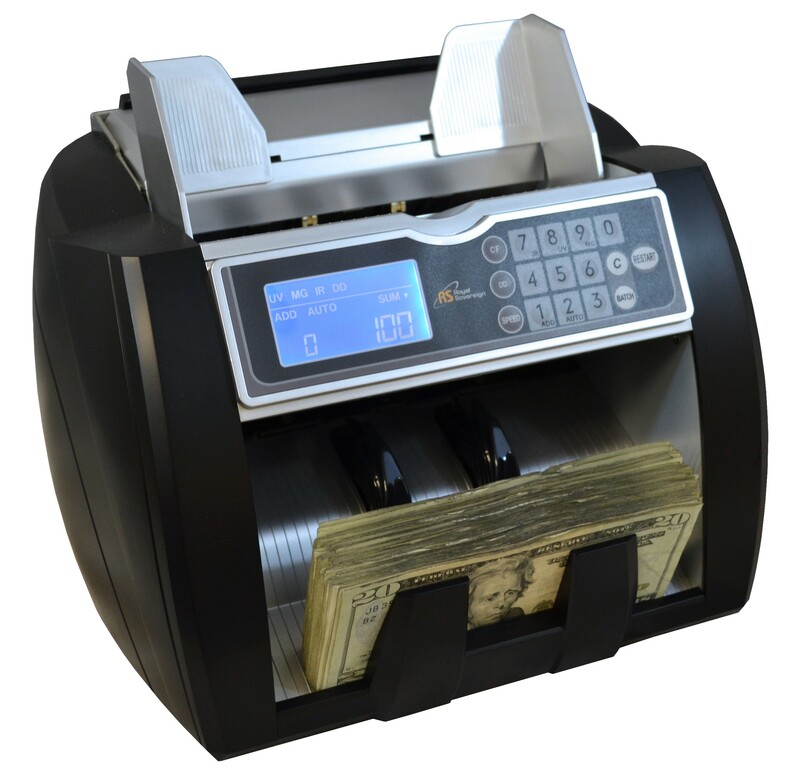 Royal RBC-5000 currency counter with Ultraviolet (UV), Magnetic (MG), and Infrared (IR) counterfeit detection. it is good to run in home or business. This unit is equiped with friction feed roller system for fast and accurate counting up to 1900 note per minute. Features with countinues runing of 4 hours. With keypad control you can added automatically and separated bills into batches. Hopper is back load and 300 notes at a time. It also equipped with external display system. Unit Dimensions: 11.7" x 9.8" x 9.8"
11.7" x 9.8" x 9.8"
It serves its purpose of counting bills. I would like to see a cleaning kit offered with the product.